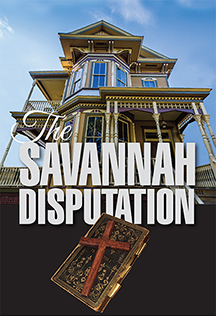 The subject is damnation, but The Savannah Disputation is as light and sweet as the iced tea served by the odd-couple sisters in their proper Southern home. But the sisters quickly lose their southern charm when a young door-to-door evangelist comes knocking to save their souls. This theological comedy with a twist blends the sharpness of wit with the depth of character while telling a story of a crisis of faith. A charmingly madcap adventure about love, life, and man’s eternal love affair with … golf. 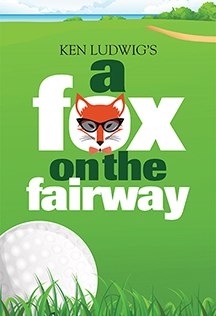 Ludwig’s play will take you on a hilarious romp that pulls the rug out from underneath the stuffy denizens of a private country club. Filled with mistaken identities, slamming doors and romantic missteps, this furious paced comedy recalls the best of the Marx Bothers’ classics. THIS SHOW IS NOW CLOSED. LTA starts the season with the global phenomenon that has been wowing audiences for over 40 years – the rock opera JESUS CHRIST SUPERSTAR! 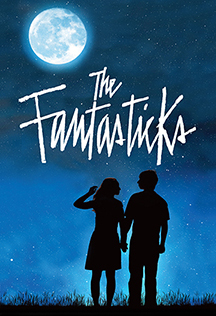 With music by Andrew Lloyd Webber and lyrics by Tim Rice, this musical is a timeless work set against the backdrop of an extraordinary and universally-known series of events. You’ll enjoy the well-known songs including “I Don’t Know How To Love Him,” Hosanna,” and “Superstar.” Don’t miss the chance to experience this dramatic and inspirational musical. THIS SHOW IS NOW CLOSED. 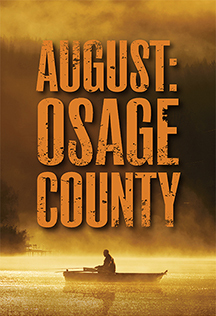 When the family patriarch vanishes, the Weston’s return to rural Oklahoma to care for their afflicted, manipulative mother, Violet. Armed with prescription drugs and paranoid mood swings, Violet reigns over the home as family secrets unfold. This powerful family drama by Tracy Letts won the 2008 Pulitzer Prize and the Tony Award for Best New Play. Show Notice: Contains very mature themes and language. THIS SHOW IS NOW CLOSED. Just in time for Halloween, Bram Stoker’s classic tale of gothic horror comes to life – and death – on stage. 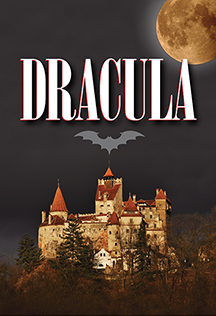 Join the colorfully macabre cast of characters as they take you on a breathless and bloody thrill ride from the depths of Transylvania to the heart of Victorian London. Rich with both humor and horror, this play paints a wickedly theatrical picture of the world’s most famous vampire. THIS SHOW IS NOW CLOSED. 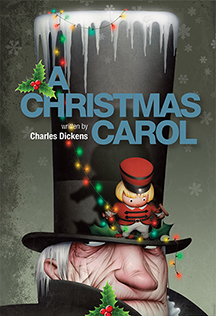 LTA rings in the holiday season with a return of the classic by Charles Dickens. Ebenezer Scrooge, a miserable, bitter old miser travels with ghostly guides through Christmas past,present, and future to find the true meaning of the holidays. Complete with special effects, Victorian carols, and Tiny Tim. A Christmas Carol is a must for the whole family. THIS SHOW IS NOW CLOSED. Off-beat, quirky, and downright hilarious, this Pulitzer Prize-winning comedy has stood the test of time. 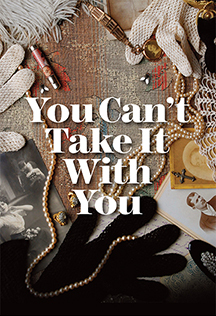 You Can’t Take It With You follows two families whose lives are thrown together when their children become engaged. This idealistic take on life, family and love reinforces the idea that you can only live life to the fullest by doing whatever makes you happy. LTA holds public performances Wednesday through Saturday at 8pm and Sundays at 3pm. Show times for A Christmas Carol are different from main stage shows. See performance schedules HERE. If you find you are unable to use your ticket for a performance you can: exchange your ticket for another performance date (see below), give it to a friend to enjoy, or donate it back to the theatre as a tax-deductible contribution. If you arrive after the performance has begun you will be seated at the discretion of the House Manager. Prices do not include phone and web service fees. There are no service fees if tickets are purchased at the Box Office. All patrons over the age of two must purchase a ticket. Most Affordable Option: Subscribing to the whole season saves you up to 16% on tickets for the year! Guaranteed Seats: LTA puts on fantastic, sold-out shows each year. As a subscriber, you are ensured a seat to every main stage performance. 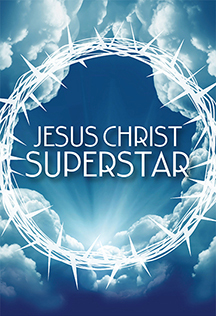 However, if you purchase the 6-show series subscription, Jesus Christ Superstar will not be included. A Christmas Carol is also not included in any subscription package but can be purchased separately. Reserved Seats: With season tickets you will not have to wait in line to pick up tickets since your seats will already be reserved and the tickets mailed to you. Exchanges: If the date you have doesn’t work for you, you may exchange your ticket for another date during the run of the show. Exchanges for subscribers are free unless moving to a more expensive performance. Exchanges are free for subscribers and members. Exchanges are permitted if processed at least 24 hours before the date of the original tickets and can only be made within the same show (subject to availability). For public tickets, a fee of $3 per ticket, plus the difference in ticket price (if applicable) will be charged. Subscribers also pay the difference in ticket price if exchanging their tickets to a more expensive performance. LTA does not issue refunds for unused tickets. All ticket sales are final. There are no refunds for season subscriptions once the season has begun. Group discounts are available on Wednesday, Thursday, or Friday performances for groups of 15 or more. The group discount is $3 off the regular ticket price and must be reserved with the Box Office by phone or in person. Group discounts cannot be processed online. • A wheelchair accessible ramp is located at the front of the building. • Two wheelchair accessible spaces (O100 and O101) and three transfer seats with adjustable armrests (C1, F1, J1) are available per performance (subject to availability). • An accessible restroom is available on the first floor of the building. • Hearing assistant headsets are available at the Box Office for each performance. • ASL interpreted performances are available, by request, with at least 3 weeks’ notice. Contact the Box Office directly to make a request. • Script loans are available for most shows and can be made available upon request through the LTA Business Office. Please request this in advance. • Large print playbills are available upon request for each performance. One handicap accessible parking space is located on St Asaph Street next to LTA’s courtyard. If LTA cancels a show because of weather, it will do so no later than three hours before curtain time. If LTA cancels a show, patrons holding tickets for the cancelled show have three options: 1) reschedule for another day; 2) receive a refund for the original purchase price of the tickets; or 3) convert the purchased tickets into a tax-exempt donation to LTA. 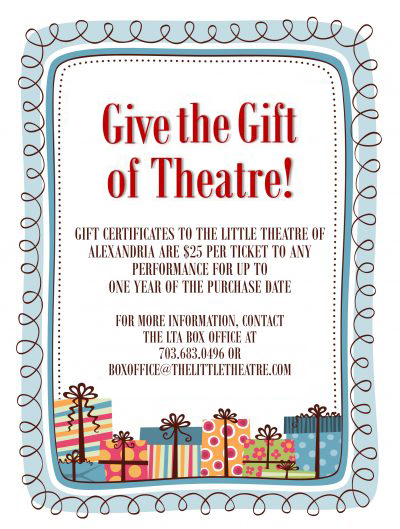 For questions about the theatre’s operating status, call 703-683-0496. If the theater does not cancel its performance, but foul weather keeps a patron from attending the show, the unused ticket can be used at a future production of that show on a standby basis only.